The supersoft tyres have been skipped. We have softs & ultrasofts apart from the mediums (which no one will touch)! Is it expected to as bloody hot as in rest of Europe? Yup Europe is still flaming hot! Old & new Hockenheim. I preferred the older circuit where cars would run at great speeds through the forest. 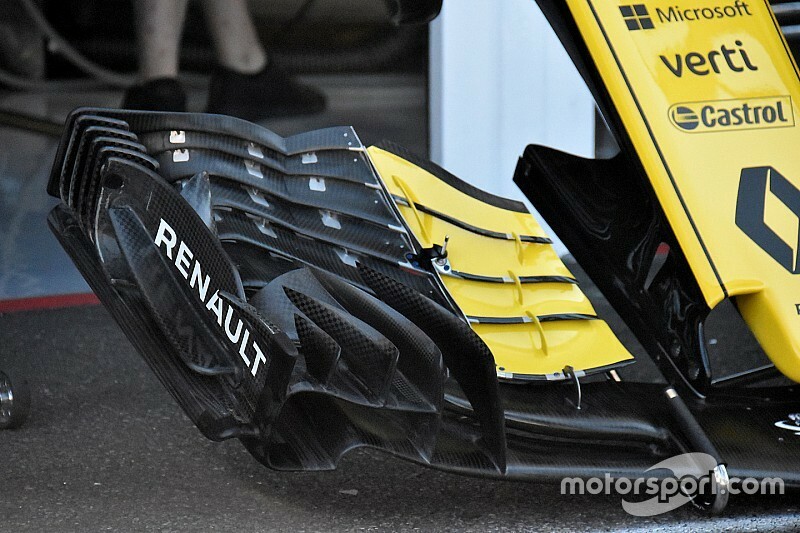 Interesting that they are skipping the super soft tyre. Anyone heard of why that might be? Old Hockenheim had 4 overtaking places, 3 chicanes and straight before Agip cruve. The new only one, which prefers only the most powerful cars. Didn't knew they were going to Germany this year, huh, who knew?!?! Hopng for a Hamilton pole, win and fastest lap. But it will probably burn or be taken out. Anyway, it's just a sport so who cares really?!?! The old circuit was about as boring as a circuit could be. I honestly don't know why people have such nostalgia about it - as a track layout, a Formula E circuit is more interesting. It had the atmosphere of going through the forest, and that was about it. I take it, that you didn't attend a race at the old Hockenheim circuit, did you? Well, no - it's in Europe, and I'm over here in America, for a start. I haven't attended a race at the new one either. I don't see how that matters to my opinion of it as a racing track. Maybe the atmosphere was great, I admit I can't speak for that. Actually it may not have been. The cars ran so little downforce anyway that opening the DRS wouldn't decrease drag that much so it wouldn't have much effect. It's what we see at Monza. Vettel is so bad at Codemasters. Also, I wonder why they didn’t use F1 2018? Old Hockenheim wasn't great for spectators to be fair. Almost all seating in the stadium section so pretty much had the feel of any other circuit but you only got to see the cars 44 times. Going through the trees at the old Hockenheim was cool but at the end of the day it was only 3 straights connected by a couple of chicanes. The 1997 German grand prix. Possibly my second favourite around that configuration after the amazing race in 2000. Maybe not all content has been finalized. I agree. The nostalgia of the in-car video driving past the site of Clark's death -- morbid as that seems -- was the only interesting part of the old layout. But this recollection also emphasizes the problem, with the trees so close to the track. The chicanes were a result to slow the cars, because the track couldn't be widened. Fast forward to the eventual revision to the shorter circuit, which finally gave a nod to political reality... given the "green" influence in Europe, the old dilemma of chopping down all those trees on the old part of the track to make it wider/safer inevitably spelled doom to the northern leg of the lap. Yeah and on that basis, and for emergency situations as well, I can understand why the modified it but I do miss the old circuit. It presented a different challenge for the drivers. Last edited by Jezza13 on Wed Jul 18, 2018 12:30 pm, edited 1 time in total. Is pirelli bringing the thinner Merc friendly tyres or normal tyres? 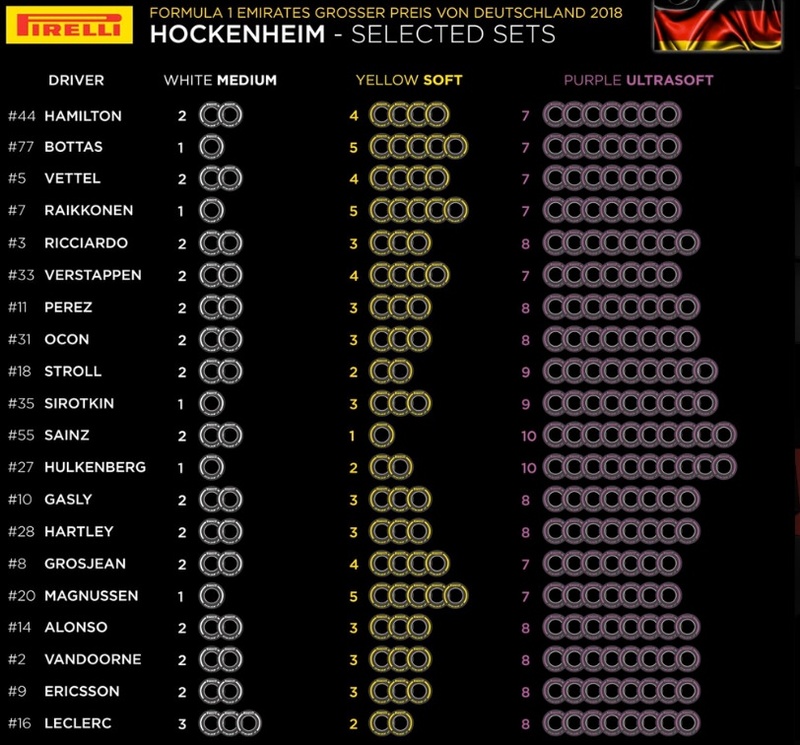 Those tyres benefited all the teams and no they are not going to be uses again this season. I don't particularly like Hockenheim to be perfectly honest. I think often my opinion of tracks is shaped by how they play in simulators too. That last corner really lacks any feel. I much prefer the Nurburgring GP. 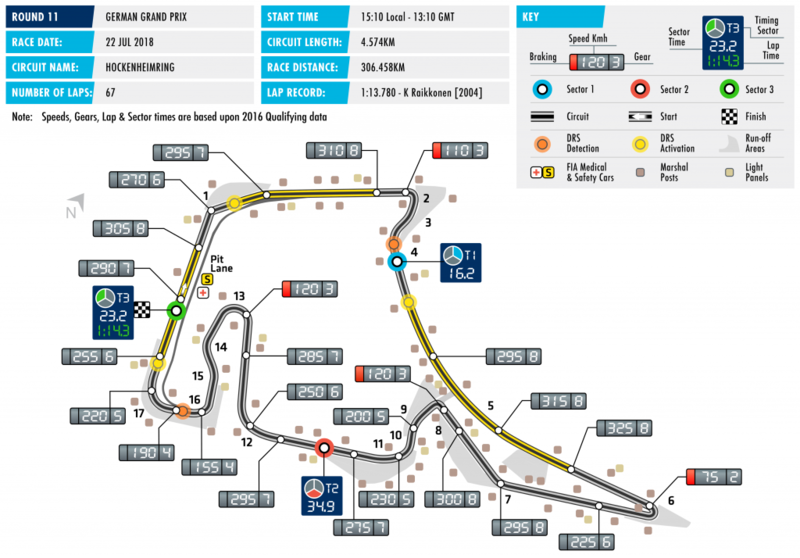 The last time Formula 1 visited there, it was a really good race and an enthralling battle for the win. I think with these new cars it would be insane the types of speeds that could be achieved in those fast flowing corners. 'The weather in Germany at this time of year is known for its unpredictability, with sunshine or heavy rain a possibility, and it looks like that’ll be the case this weekend. 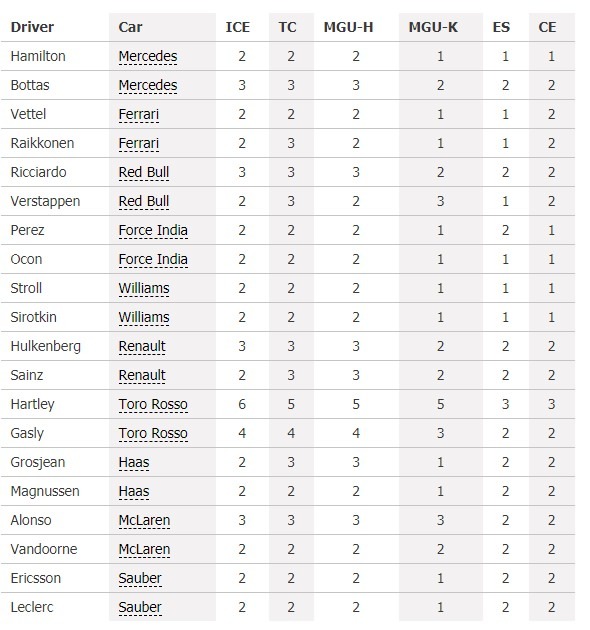 Looking at that Honda are still behind the game, such reliability will scupper any Red Bull title charge next season. I don't think even RBR are hoping for a title charge next season. Ricciardo is surely in a quandary isn't he? Couldn’t agree more. The Nurburgring is a much more exciting track for these cars. Shame. Looks like Ricciardo is taking an engine penalty. I think the way the official F1 site and Official F1 videos too now are just trying too hard to impress. This serious dramatic music at the start. Then, why show you a driver selection when the video says it is with Vettel. And they waste time by hovering over all 5 drivers then going back to Vettel. They do similar when finding the track. 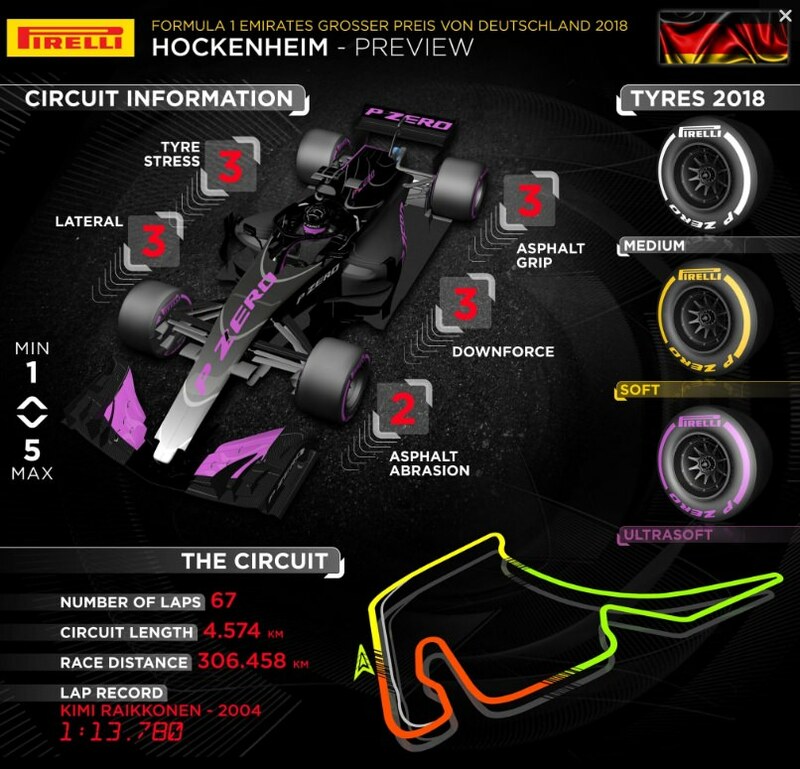 Flick through several tracks, go purposely too far past Hockenheim and then flick back. Come on! The video title mentions "Lap Of Hockenheim" and "Sebastian Vettel" We know what you are going to select so why bother showing it as if you are making your mind up? The way they are done is just slow painful to watch now. Surely it would make more sense to show a real on-board video of one of the drivers best laps at the track with them describing it. Many drivers struggle to describe while driving. That is understandable. This other way would make more sense, look better and sound better. But it wouldn't promote their game, which is the whole point of the 'Hot Lap' videos. ... although in light of Vettel's here, and Magnussen's last time, I think they might want to reconsider the 'hot' part of that description.